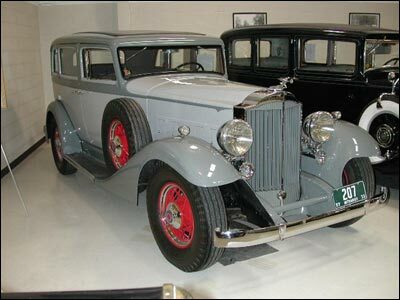 The 1933 Packard was a limited production car. Our Country was in the midst of the Great Depression, and few people could afford a Packard. As a result, only a handful of this model were built and very few still remain. This is unfortunate because the traditional Packard hood and grille, coupled with sculptured body styling, makes the 1933 Packard one of the most beautiful cars of all time. This car and all of its components were completely disassembled, renewed or carefully rebuilt to like-new condition. The car was then painstakingly reassembled.